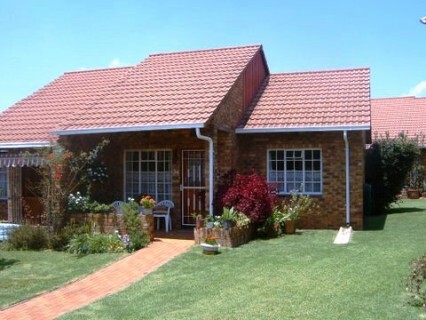 Fairland Retirement Village is situated in the northwest of Johannesburg in Fairland, near Cresta Shopping Centre, Northcliff. The first occupants moved in during 1985. The first thing one notices when entering the Village is the friendliness of the people, both staff and residents. This is a real happy, big family that cares for one another. First you hear the laughter, and then you see the people. 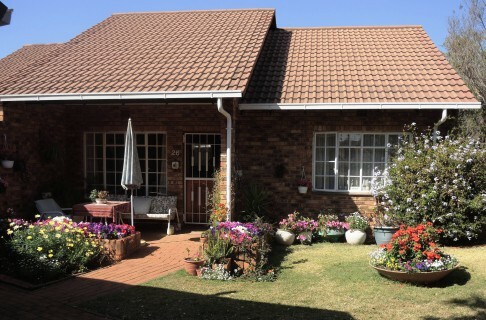 The premises are well looked after and the gardens around the cottages are a feast for the eye. There is a Matron/Manager at the village & a registered nurse on duty 24 hours a day. The main building forms the heart of the village. It comprises a dining room, a physiotherapist room, hairdresser, and administrative offices, two lounges that can be used for gatherings and church services, single rooms for people that are not too dependent and frail-care units. This is where well-balanced, tasty meals are available at reasonable prices. The Sundays and the annual celebratory meals are very popular. This is the ideal venue for entertaining family and friends. The library offers a wide variety of books, which grows annually thanks to donations made by residents. The hair salon in the main building is very popular with the ladies, but men are also regular visitors. The Village has its own private bag and therefore the residents’ mail is delivered daily. Outgoing mail can also conveniently be sent from the safe environment of the Village. The laundry is operated by means of a coin system and is available to residents at a nominal fee. There are 20 two bedroom cottages and 16 one bedroom cottages. In the main building are 13 single and 8 double bed-sitters, each with a shower, toilet and wash basin. Availability of Frail-Care plays a major role in the decision making process to buy a unit at Fairland. 10 frail-care beds are available, and one private room which is reserved for the use of residents of the Village. The village does not have the necessary infrastructure for the treatment and care of Alzheimer’s. 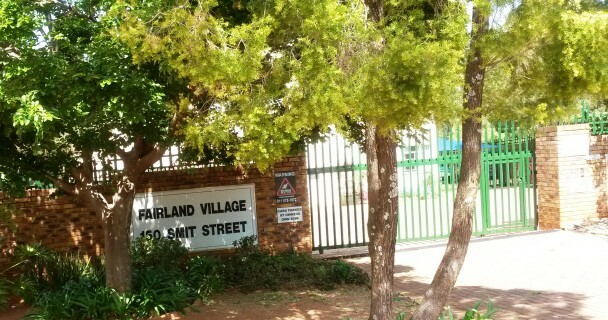 string(2090) "Fairland Retirement Village is situated in the northwest of Johannesburg in Fairland, near Cresta Shopping Centre, Northcliff. The first occupants moved in during 1985. The first thing one notices when entering the Village is the friendliness of the people, both staff and residents. This is a real happy, big family that cares for one another. First you hear the laughter, and then you see the people. 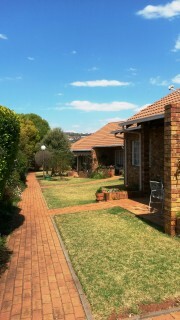 The premises are well looked after and the gardens around the cottages are a feast for the eye. There is a Matron/Manager at the village & a registered nurse on duty 24 hours a day. The main building forms the heart of the village. It comprises a dining room, a physiotherapist room, hairdresser, and administrative offices, two lounges that can be used for gatherings and church services, single rooms for people that are not too dependent and frail-care units. This is where well-balanced, tasty meals are available at reasonable prices. The Sundays and the annual celebratory meals are very popular. This is the ideal venue for entertaining family and friends. The library offers a wide variety of books, which grows annually thanks to donations made by residents. The hair salon in the main building is very popular with the ladies, but men are also regular visitors. The Village has its own private bag and therefore the residents’ mail is delivered daily. Outgoing mail can also conveniently be sent from the safe environment of the Village. The laundry is operated by means of a coin system and is available to residents at a nominal fee. There are 20 two bedroom cottages and 16 one bedroom cottages. In the main building are 13 single and 8 double bed-sitters, each with a shower, toilet and wash basin. Availability of Frail-Care plays a major role in the decision making process to buy a unit at Fairland. 10 frail-care beds are available, and one private room which is reserved for the use of residents of the Village. The village does not have the necessary infrastructure for the treatment and care of Alzheimer's. There are 14 lockable garages and 16 secure carports"
string(40) "Fairland Retirement Village - Northcliff"
string(74) "Fairland retirement village is located in Fairland near Northcliff, Cresta"
string(2077) "Fairland Retirement Village is situated in the northwest of Johannesburg in Fairland, near Cresta Shopping Centre. The first occupants moved in during 1985. The first thing one notices when entering the Village is the friendliness of the people, both staff and residents. This is a real happy, big family that cares for one another. First you hear the laughter, and then you see the people. The premises are well looked after and the gardens around the cottages are a feast for the eye. There is a Matron/Manager at the village & a registered nurse on duty 24 hours a day. The main building forms the heart of the village. It comprises a dining room, a physiotherapist room, hairdresser, and administrative offices, two lounges that can be used for gatherings and church services, single rooms for people that are not too dependent and frail-care units. This is where well-balanced, tasty meals are available at reasonable prices. The Sundays and the annual celebratory meals are very popular. This is the ideal venue for entertaining family and friends. The library offers a wide variety of books, which grows annually thanks to donations made by residents. The hair salon in the main building is very popular with the ladies, but men are also regular visitors. The Village has its own private bag and therefore the residents’ mail is delivered daily. Outgoing mail can also conveniently be sent from the safe environment of the Village. The laundry is operated by means of a coin system and is available to residents at a nominal fee. There are 20 two bedroom cottages and 16 one bedroom cottages. In the main building are 13 single and 8 double bed-sitters, each with a shower, toilet and wash basin. Availability of Frail-Care plays a major role in the decision making process to buy a unit at Fairland. 10 frail-care beds are available, and one private room which is reserved for the use of residents of the Village. The village does not have the necessary infrastructure for the treatment and care of Alzheimers. There are 14 lockable garages and 16 secure carports"
string(30) "garages, carports & shadeports"
string(38) "volunteers available & private drivers"
string(20) "To the main building"
string(43) "available with coin/token operated machines"